The evil doppelganger of the N9 has finally made its appearance in Malaysia. The love child of Stephen Elop. Whatever you want to call it. Here, I shall share my occasionally politically incorrect views on the Lumia 800. Be warned that I am biased against anything from the loins of Redmond in general. 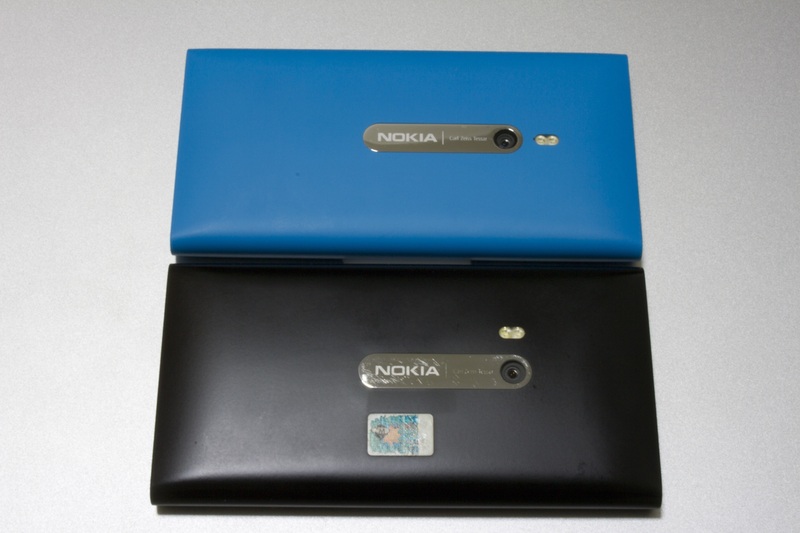 Save for a number of minor changes from the polycarbonate monobody sported by the N9, the Lumia 800 is an almost identical device to the N9. Modifications include a 2 step camera button (why couldn’t they have put this on the N9, it’s hard to cycle while snapping pictures without one of these), and small changes in the positioning of the camera and flash modules. 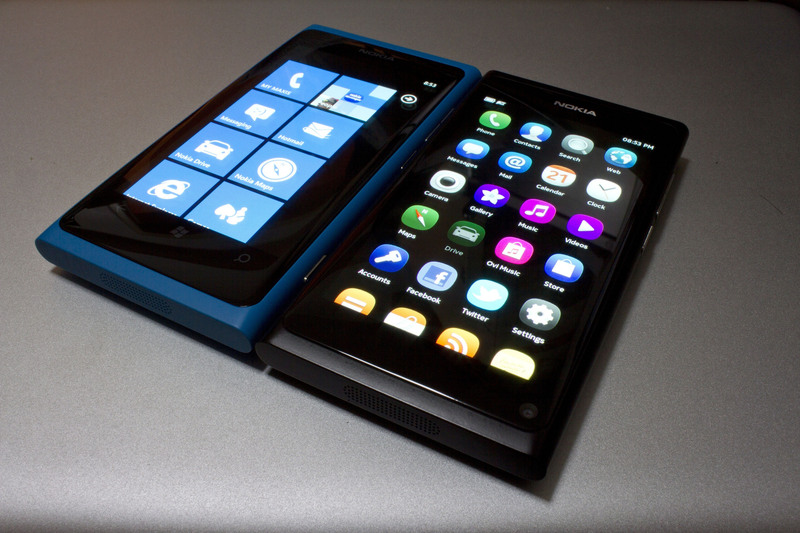 Ignoring these 2 differences, it’s almost impossible to tell the difference between a Lumia 800 and an N9 from the outside – unless your hawk eyes detect the 3 mandatory capacitive buttons on the Lumia 800 without which WP7 would fail to function. Oh look, more stuff that could have and should have been on the N9. 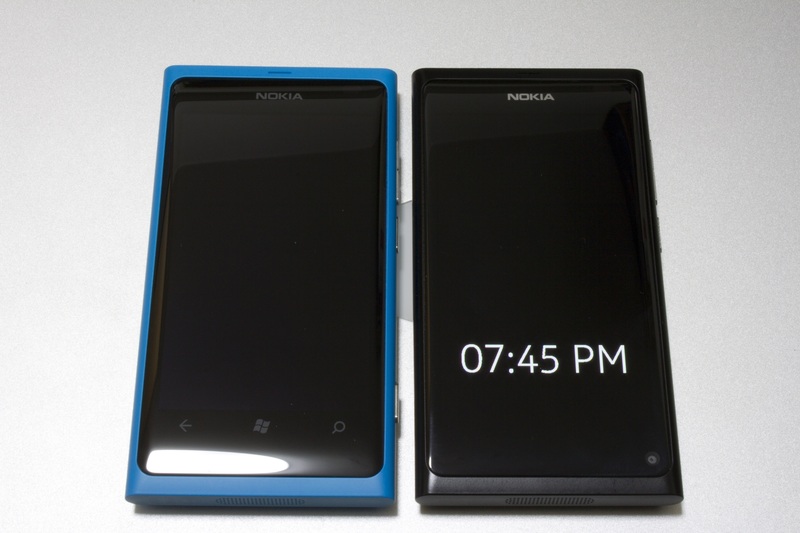 With the exception of the 1GB of RAM on the N9, the hardware on the Lumia 800 is at least more reflective of 2012. A 1.4GHz Snapdragon MSM8255 is at the heart of the Lumia 800, along with an Adreno 205 and 512MB of RAM. 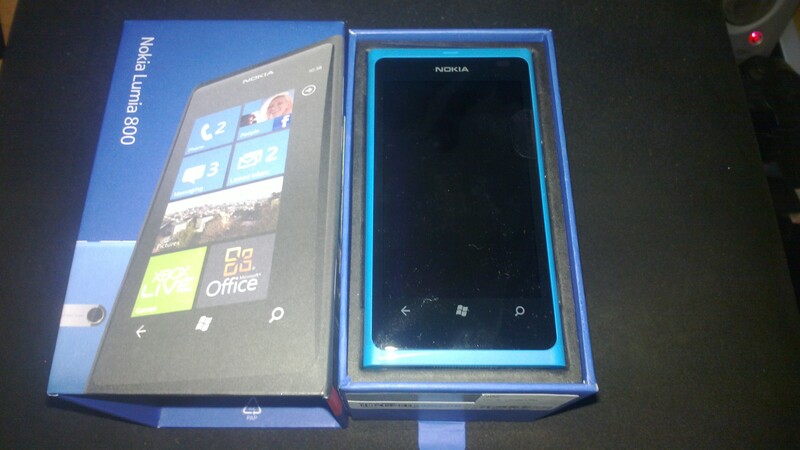 WP7 is extremely smooth on this hardware (and MeeGo would doubtless absolutely fly). The display is a 3.7″ 800×480 AMOLED, essentially the same as the 3.9″ 800×480 on the N9 if it wasn’t because of the aforementioned WP7 buttons which eat up that 0.2″ of real estate. The Lumia 800 also shares the same amount of storage as the smaller N9; 16GB of non upgradeable storage. Let’s be honest now, 16GB is really at the bottom end of what you can put on a phone and still call it a smartphone these days. The folks over at Microsoft may say something about the swanky 25GB of SkyDrive storage that they bundle along with Live accounts – but the truth is that anyone with a Live account already has that (or better), and the guy on the street with a 64GB N9 would then have a total 89GB of storage compared to the 41GB on a Lumia 800. At the end of the day, this just ends up showing you are behind times. If you aren’t giving on-board storage that is ahead of the curve (64GB) then make sure you have an expansion slot like Android (or your lower end device the Lumia 710). Paying a premium for the Lumia 800 to LOSE expandability is _____ (fill in the blanks, I’m trying to be politically correct). Credit where it’s due; WP7 has an awesome UI. The consistency between application and OS doesn’t hurt either. Unfortunately for Team Microsoft, that’s about where it ends for me. Lack of customization, no FLAC support, badly positioned buttons, and a metric tonne more annoyances spoil the few brownie points the UI has gained. Being unable to properly negotiate operator codes like the “*136*9#” that is used by Maxis (and probably other telcos as well) to check on your current data usage doesn’t help the WP7 cause either. At this point, your only option is to call Maxis (or whichever operator you use) and ask them… over the phone… with your voice. So, no, to all those who are wondering… using WP7 basically means you can’t use all the funky codes to check your balance, top up your account, add VAS, etc.etc. as long as they are of the typical *123*123# format (*100*, *132*, *whatever*). Oh yes, and Dear Maxis, switching your SIM card into another non WP7 device is NOT a solution. You think everyone walks around with a spare phone in their pocket just to check how much data quota they have remaining? 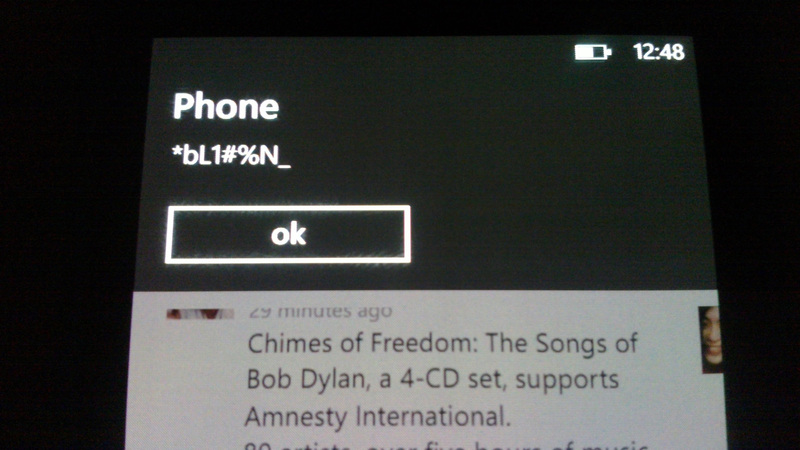 Lumia 800 - I Can Has Error? I must commend the contacts portion of WP7 as well, merging contacts imported by GMail, Twitter, Facebook is a breeze, not to mention most of the merge/link recommendations are fairly accurate. As yet another plus point, WP7 makes it appear like I have Alessandra Ambrosio in my phone book. Can’t complain about that right? I’ve always been a quality over quantity kind of person; as such, huge numbers like 500,000 apps on the Apple Store or Android Market Place isn’t really a selling point for me. The incredibly rapidly growing number of applications on the WP7 Market Place is no different. Apart from the obvious Twitter, Facebook, Foursquare, and a small number of utility apps on the N9, I don’t really touch much else. In the case of WP7, somehow Foursquare’s official client isn’t available on the Malaysian Market Place. That enormous number of applications isn’t really useful now is it? Zune isn’t even as useful as iTunes. This is me being generous. Unfortunately, you’re stuck with Zune if you have a WP7 device. Zune is REQUIRED to transfer anything to a WP7 device or get anything out of it without going online. Took a picture with your spanking new Lumia 800 and want to transfer it to your laptop for a blogpost? Enjoy sending yourself an email and using up precious mobile data (or WiFi), or have the incredibly useful (/sarcasm) Zune installed on your laptop. Yes, this deserves its own section… even though WP7 doesn’t have it. There’s a high probability that WP7 intended for its multitasking to be similar to how Android/iOS handles multitasking – application goes into background, and you resume it later. Problem is, the application essentially does as much as a rock while in the background. Case in point, queue up a few countries maps for Nokia Drive to download, open up Twitter to waste away an hour while waiting for the maps to download, come back to Nokia Drive an hour later, and BAM, your maps have just started downloading. AWESOME!!! The amazing multitasking capabilities also make scrobbling to Last.FM almost impossible… unless you keep the scrobbler in the foreground the entire time. Even early Symbian had better multitasking. When the gloss wears off, chances are you’ll find yourself pulling at your hair more and more often. I can say that I’ve found my short time with WP7 reasonably enjoyable; but a longer term experience would likely yield a much less rosy picture of the Lumia 800 (on top of me trying to flash MeeGo onto it). If you buy a Lumia 800 assuming that you will have to deal with many of the disabilities faced by iDevice users, then you may find the Lumia 800 will be a perfect fit in most ways – understandable since that IS the market that Nokia hopes to eat into with WP7 devices. If you’re more technical in any way, it’s hard to give any other advice other than to steer clear. As for me, I’m headed back to my beloved N9 and patiently waiting for PR1.2. 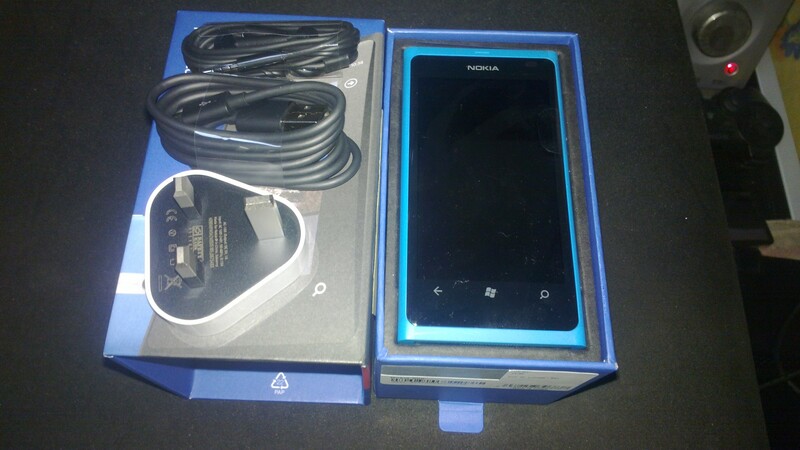 This entry was posted in Uncategorized and tagged availability, lumia, lumia 800, malaysia, nokia, review, windows phone 7, wp7. Bookmark the permalink. I don’t own elop’s lovechild, but playing with the devil’s spawn at the nokia shop for ten minutes made me want to wash my hands with acid! prettier, but about as useful as my old nokia phone from 2006 or 7… and even that had video calling going for it! ‘maemo. harmattan pr1.2 out for Malaysia N9! ps. and yes, the typo is intentional..